You are investing in a tool. You purchased the computers somewhere else. With Auto Shop Writer, you are buying intellectual property. You are investing in all the time, and expense, that was utilized over the years to prepare a solution that manages the record keeping, accounting, and follow up for your business. It may seem confusing because you don’t really see the physical product for which you are paying. You see operations on a computer screen ! However, those are all carefully developed to store, and report, on the data that effects your business. This is “intellectual process” and you are granted the right to use it. You buy a license to use the software. You do not own the software, and you may not modify it or give it to others to copy. You do own your data, but only in its raw form. You also are paying for our time to help you understand, and use the software, but not for us to enter your data. First, do you homework ! We can provide you an online demonstration, and answer all of your questions. We will show you how the tasks important to you are accomplished. Watch our videos, browse our online manual, and even look at our user forum. When you are ready to buy, we will send you an agreement that specifies the pricing and terms in easy to understand language. When you complete the agreement, and return it with the payment, we will install your software. We have always provided a “one time fee” option that licenses the current release of the software plus anything released for 6 months thereafter. People can then subscribe to an annual support agreement which covers any assistance and all updates. Recently we have had many people contact us who simply don’t have the lump sum amount to buy the license. We do offer a subscription arrangement that allows you to pay a fee the first month to cover installation, and training, and then a lower monthly fee. The subscription service for the full Auto Shop Writer program and it includes support and updates. We do not charge for access to 3rd party programs, but their fees are set, and charged, separately. This would include CRM services, the optional Advantage Database Server, and any information services with which you contract. We also do not have “add on” fees. We know these could become substantial. We are happy to provide any technology assistance we can, and for those who are on a support plan, or are renting the software, we never charge extra for our consulting, online services, or even creating additional programs or elements that enhance your system. We often get calls from people who have used Auto Shop Writer in excess of 20 years without difficulty. They haven’t paid for support or updates. It takes a lot of time and research to “go back” in older versions to provide help. Therefore we require that an individual purchase a Support Incident before we can answer any questions or provide any assistance. PLEASE NOTE: If you are a technician, hired by a business, to perform service on their system, YOU are required to purchase a Support Incident before we will provide assistance of any type. We are a business, and we are supported by the fees we charge. Please don’t ask us for free services … we simply cannot do it. 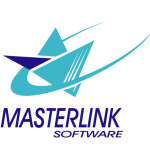 If you are new to Auto Shop Writer, or wanting to upgrade from an older version, call (949) 589-3186 ( or email Sales@MasterLinkSoftware.com ) today to find out how affordable it can be for you to be on the very latest version of our Shop Management System. Ready to buy ? Visit our online Store to securely process your transaction.